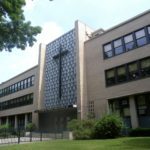 SafeStudents Online is pleased to announce that Archbishop Molloy High School, a Catholic, Marist school located in Jamaica, New York, has selected SafeStudents Online to help its parents keep their children safe from some of the threats commonly found on social media. Starting in fall 2017, Archbishop Molloy will purchase the SafeStudents Online program on behalf of all parents of incoming 9th grade students. Parents will be able to monitor their children’s social media activity for inappropriate or potentially dangerous posts and will receive alerts to help them take action when necessary. SafeStudents Online balances protection with privacy to encourage collaboration and communication between parents and children. The advanced technology helps parents keep their children safe from online threats such as cyberbullying, online predators, and damaged reputations. Parents never need to ask for their children’s passwords, and the online activity is monitored privately by parents, with the school having no access to the content. Detailed information about the program will be shared with parents later this summer, and instructions and help will be provided at our Back to School meeting in September.